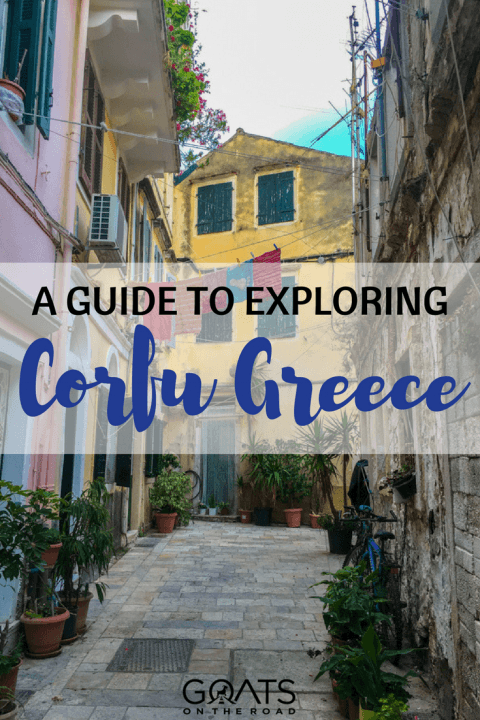 There are so many Things To Do in Corfu! In this week’s episode we’re on beautiful Corfu in Greece and continuing our exploration of this cultural Ionian Island. We still have our rental car and in this episode we check out The Governor’s Olive Mill and Olive Grove, Mr.Honey’s bee factory and honey production plant, we check into Corfu Palma Boutique Hotel and get one of the funkiest hotel rooms we’ve ever had, we also go to Canal d’Amour (Lovers Channel) and have a delicious dinner at Etrusco Restaurant! These are just a few of the things to do in Corfu. Corfu turned out to be one of our favourite islands in Greece with so much to see and do, beautiful natural drives, lots of unique experiences and of course, stunning beaches!